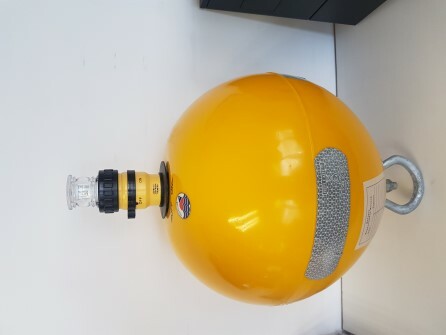 The emergency towing system buoy (ETS) is a flexible PVC moulding filled withclosed cell foam. The buoy has a programmable LED flashing lamp activated by a photocell switch for automatic operation. 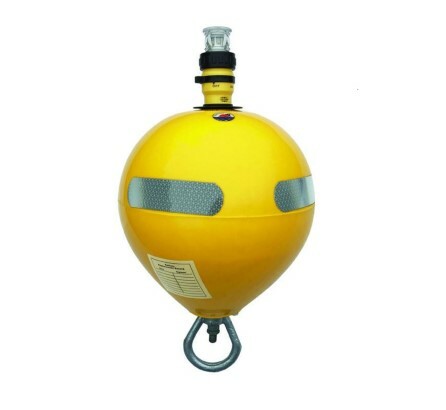 When required, the buoy is deployed through a standard Panama fairlead for ETV retrieval. The buoy and pennant line are taken on board the ETV enabling a towing cable to be transferred from the ship to the ETV. The concept of this product is very simple, making it easy and reliable to use. As of 2012 all vessels over 20.000 DWT are required to have an ETS in place. The ETS buoy simplifies tow line retrieval by day or night. Module-based construction, facilitating and necessary service or repair.